Lowa Aerox GTX Mid after 130 miles of use. The Lowa GTX Aerox Mid has performed admirably over the last few months. 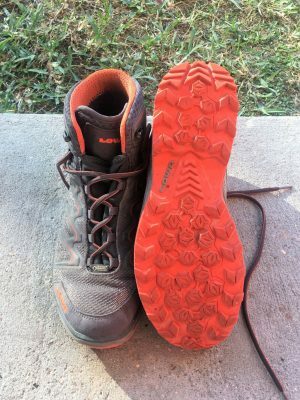 They have seen over 130 miles of trail from Mississippi to New Hampshire and have lived up to Lowa’s assertion that they are an “extremely breathable/waterproof, lightweight, do-it-all outdoor athletic shoe.” Read on for my full update.